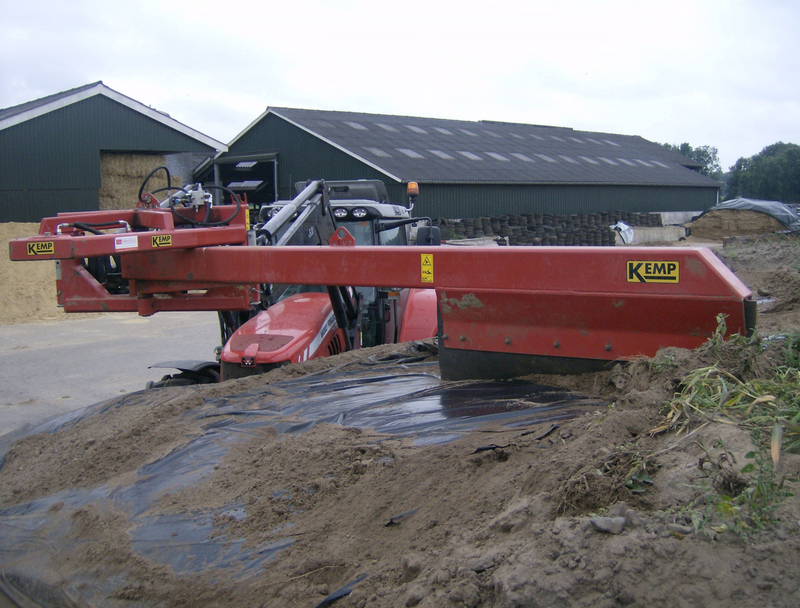 The left and right working silage scraper is suitable for sliding a layer of sand from the silage pit. The centre of the scraper is far from the heart of the vehicle, so the sand can be removed far on the pit. The sliding scraper is designed with heavy hollow sections including a rubber strip, so that the covering sheet is not damaged. The rubber strip is 1,400 mm long. The slewing is hydraulically by means a double-acting cylinder so that the silage slide left and right to use. Because the silage scraper slew at the front, it is possible to scrape in little spaces and when the is position is not perpendicular to the silage. Ideal for narrow silages. The pivot point is performed with two rotary buses with Teflon sliding sleeves which are positioned far from each other so as to be able to take up a lot of strength. Equipped with pressure relief valve. 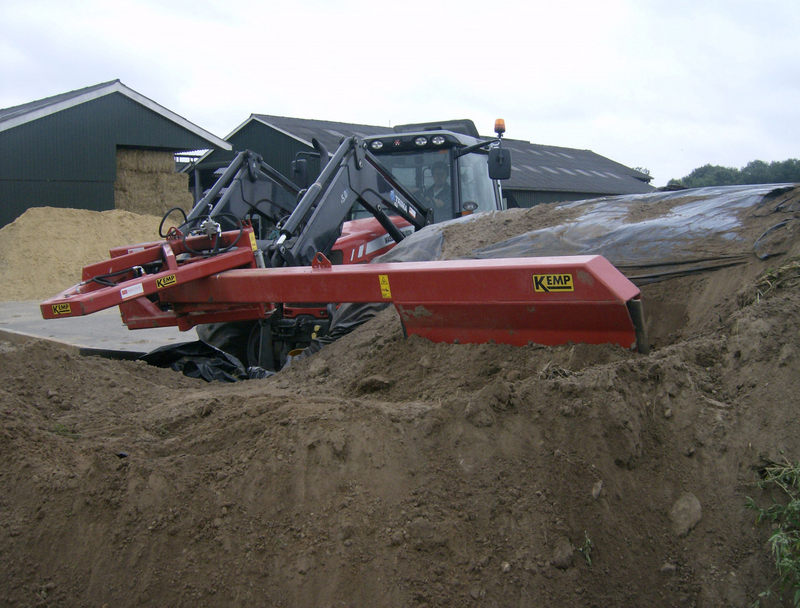 The left and right operating silage scraper is available with the attachments that belong to your vehicle (for the attachment parts, see the document: Kemp attachment parts).